In addition to their departmental colleagues, Pathology faculty researchers interact extensively with basic and clinical scientists throughout the Center for Health Sciences, which includes Schools of Dentistry, Medicine, Nursing, and Public Health, as well as life sciences faculty in the College of Letters and Science and the School of Engineering on the adjacent UCLA main campus. This vast biomedical and clinical research infrastructure, which is duplicated in few institutions, facilitates access to advanced instrumentation as well as the expertise of their faculty colleagues in multiple disciplines. 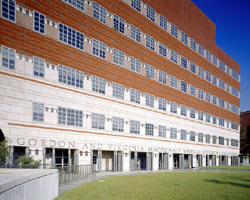 Pathology research laboratories are located in the Center for Health Sciences, the Factor Building, the MacDonald Research Laboratories, and the newly opened Terasaki Life Sciences Buildings - home to the Broad Stem Cell Research Center. 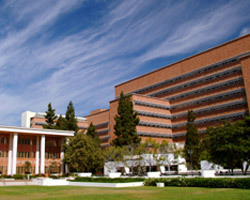 The UCLA Center for Health Sciences is the home of the world-renowned Ronald Reagan UCLA Medical Center and the David Geffen School of Medicine. The MacDonald Medical Research Laboratories provide a centralized site for biomedical research in several disciplines. 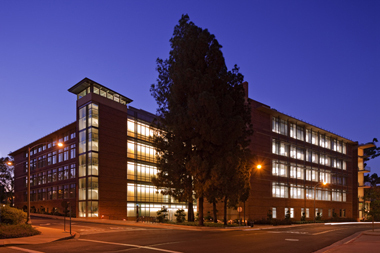 A gift from longtime UCLA benefactors Gordon and Virginia MacDonald enabled construction of the laboratories. Gordon MacDonald attended UCLA from 1927-1930. Philanthropist Louis Factor was one of four sons of the founder of the international cosmetics firm, Max Factor Co. The building is named in honor of him and his wife, Doris. It is composed of approximately 198,000 square feet that make up laboratories, office space, faculty offices, administrative offices, the School of Nursing, School of Medicine, auditoriums, and classrooms. 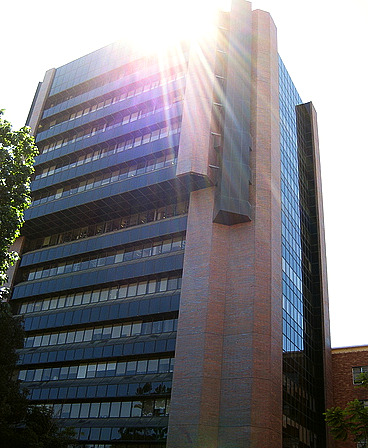 The building is named for Paul Ichiro Terasaki, UCLA professor emeritus of surgery and a pioneer in organ transplant medicine who in 1964 developed the test that became the international standard method for tissue typing, a procedure that assesses the compatibility of organ donors and recipients.The building's special features include the newly launched Broad StemCell Research Center, whichincludes research laboratories and facilities for such tasks as computational and bioinformatics analysis of stem cells, bioengineering for stem cell growth, and career development space for young clinical faculty.